Four Nights of a Dreamer is based on the story White Nights written by Fyodor Dostoyevsky. 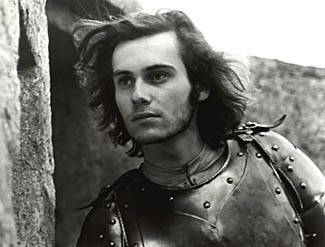 Two other Bresson films based on Dostoevsky were Pickpocket and La Femme Douce. 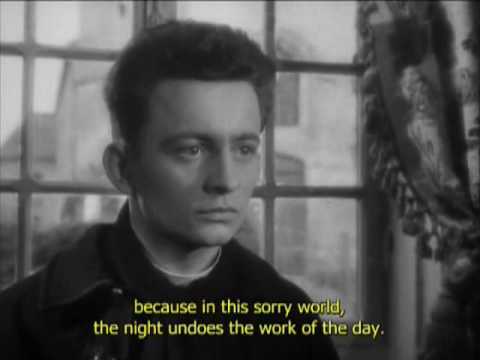 Mouchette and The Diary of Country Priest were based on George Bernanos. Bresson with Tarkovsky and Orson Welles at Cannes Festival. 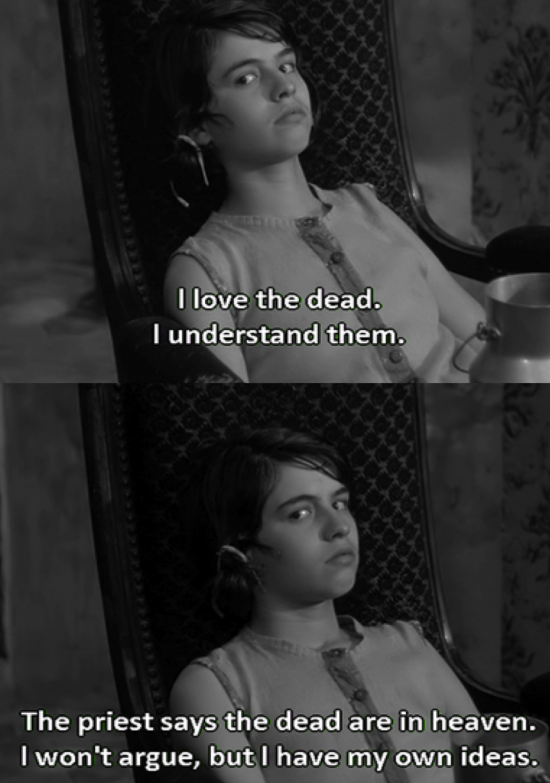 Maria Casares was in Bresson’s early film. The screenwriters will go on strike in Hollywood on Monday. 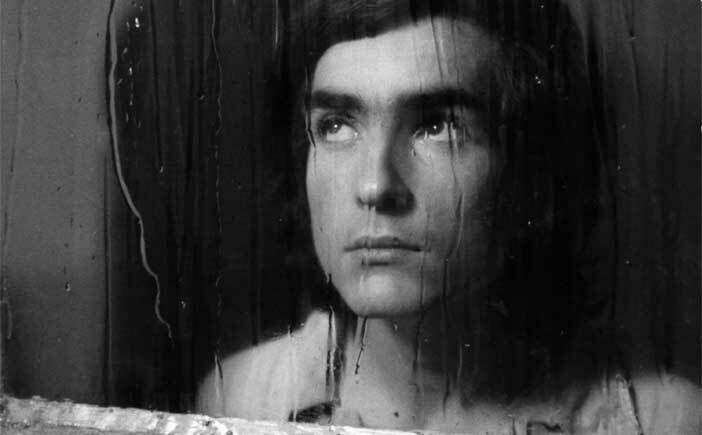 This may be a great time for them to study and why not start with Bresson and Schrader? 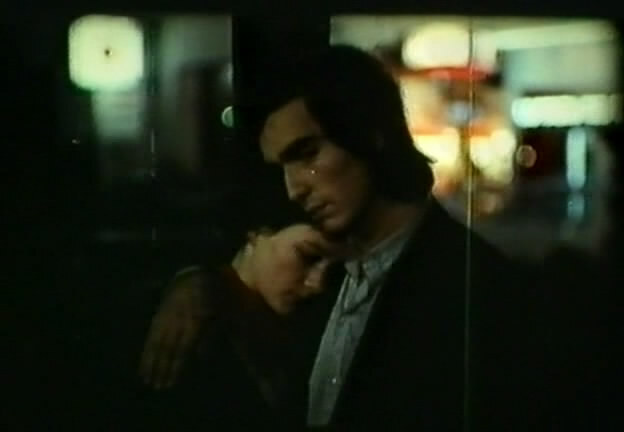 Bresson’s Pickpocket had a direct influence on Paul Schrader’s screenplays for Taxi Driver and American Gigolo. 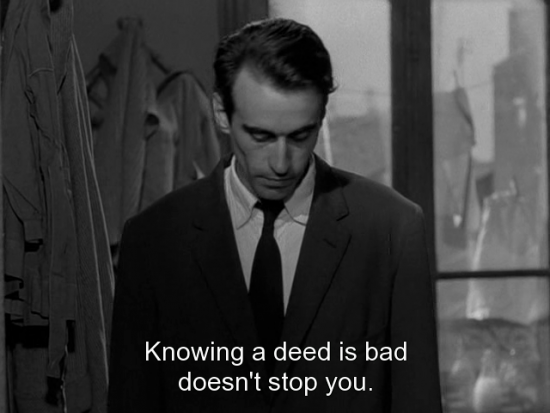 In Pickpocket, the society whose laws Michel breaks is far more criminal than he is—not technically, not legally, but spiritually: this is Bresson’s archly comic irony, heavily veiled in nocturnal chiaroscuro. 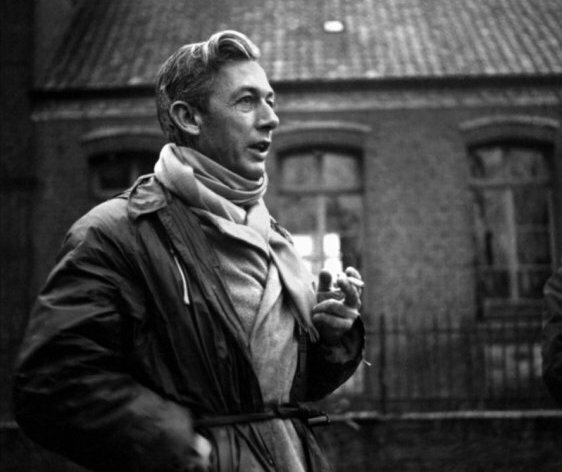 On December 18, 1999 Robert Bresson passed away at the age of 98.
so austere and monkish. Is it because they knew how to live with clarity, simplicity and a sense of purpose coming from profound vision and understanding? Anne Wiazemsky with a Donkey.